Tucked away in the heart of Kew, the Victorian Dermal Group is the only Melbourne clinic to offer a unique and broad range of treatments using the latest Candela (GentleMAX®) Pro laser technology – a superior medical grade laser. Committed to providing our clients with specialist advice and realistic expectations, the Victorian Dermal Group provides a holistic approach to non-surgical cosmetic treatments. We marry the safest and most advanced laser technology to ensure the best possible results. Your face is your unique presentation to the world. For this reason, we only use medical grade lasers in our practice to deliver proven, safe and precise results for all skin types. 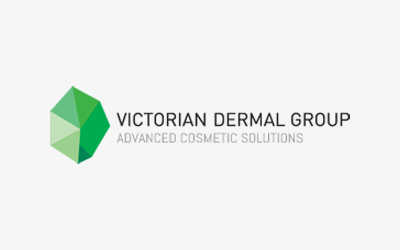 Client pre-consultation, education and personalised care is highly valued at Victorian Dermal Group. Dedicated to excellence, we believe in providing our clients with accurate information and scientifically proven treatment methods so they can make fully informed decisions about their skin concerns and health. Our tertiary-educated practitioners are experienced in a wide variety of skin conditions and can offer a variety of specific lasers to safely and effectively treat myriad skin types and conditions. The Victorian Dermal Group does not use intense pulse light machines (IPL) due to inferior treatment outcomes and higher risk of adverse effects during treatment. A consultation is necessary to assess and examine treatments that would best benefit your particular skin condition.